3M is urging health and safety professionals to register early for its remaining Safety Network Live events, after the first of the year attracted record visitor numbers. 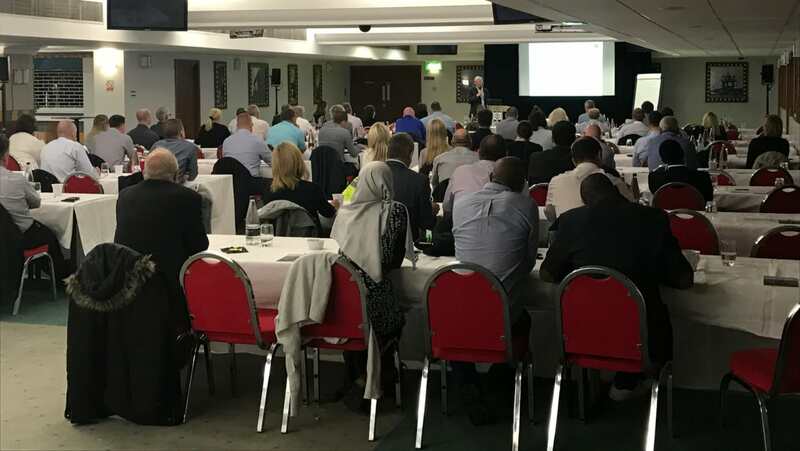 More than 60 people attended the science-based technology company’s first event of 2017 on 27 June, which took place at the Old Trafford football ground in Manchester. The free events are aimed at everyone from health and safety managers and equipment purchasers to company owners – all from a range of industries. The events enable these professionals to build their expertise by listening to and participating in a series of informative talks. The Manchester event began with a talk from Marcus Webb, a communication specialist at training consultancy company UK BodyTalk. Marcus discussed how managers can gain buy-in and get their health and safety message across effectively to their workforce. David Fox, a chartered psychologist at the Health and Safety Laboratory in Buxton, Derbyshire, led the second talk. He explained how to recognise and tackle workplace stress. After lunch, visitors were able to choose between three talks, all held simultaneously by 3M experts. Rob Brill, technical manager at 3M, discussed the science of safety. This session explored the use of various tools and techniques to help assess and improve personal protective equipment (PPE) compliance in an organisation. Meanwhile, Stephen Morris, UK fall protection technical specialist at 3M, discussed working at height, fall protection and confined space access. Finally, Theo Simon, technical service specialist at 3M, provided practical advice to help attendees to manage Hand-Arm Vibration in the workplace. 3M launched Safety Network Live with a single event in 2015. The company has increased the number of these events in every year since. This year, the company is holding a total of four Safety Network Live events, including the Manchester event. This number is up from two in 2016 – a response to high demand and positive feedback. The next event will take place in Dublin on 14 September. This will be followed by an event in Glasgow on 28 September. The final event will be held at 3M’s UK head office, in Bracknell, Berkshire, on 5 October. Kim Brewer, marketing manager for the 3M Personal Safety division, said: “3M’s first Safety Network Live event of the year was a tremendous success and the feedback we have received has been extremely encouraging. “These events are free and offer a space in which health and safety professionals can learn from one another about best practice and changes in the industry.